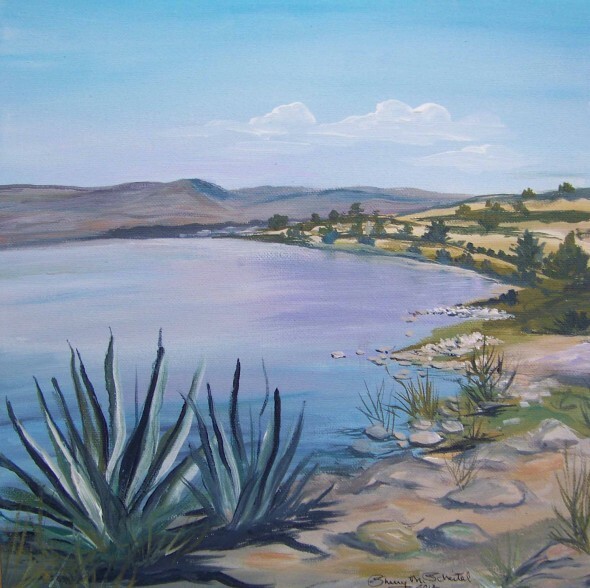 This painting is a view of the Sea of Galilee from a photo that I took when I was there in September. I think that this shot is from the shore by the town of Caperaum . Can you imagine Yeshua walking by the shore or the disciples in their boats, casting their nets on a beautiful sunny day? It is truly a place of great natural beauty and history.